A: When I was 10 I read about the discovery of the Titanic by Dr. Robert Ballard, and became fascinated with the ocean. Initially, my interests involved whales (what 10 year old kid doesn’t love whales?) but I quickly became enthralled with the physical nature of the ocean and the seafloor. Plate tectonics was still a young theory but it served to be the driving force of both plate movement and my interest in marine science. I decided I wanted to become an oceanographer so I could better understand the processes that govern the ocean and also to better understand how humans can sculpt their future alongside it. A: I didn’t actually want to be a geologist initially, but I always found it to be a fascinating subject. After 2 years of undergraduate work, I found that I wasn’t very good at biology, but understood the “wider-spectrum” concepts of geology very well. I took a geologic oceanography class and I fell in love with the field. As a result of that class, I started to make geology a serious part of my life and took classes in mineralogy, paleontology, geomorphology, and mapping to complete a geology minor. 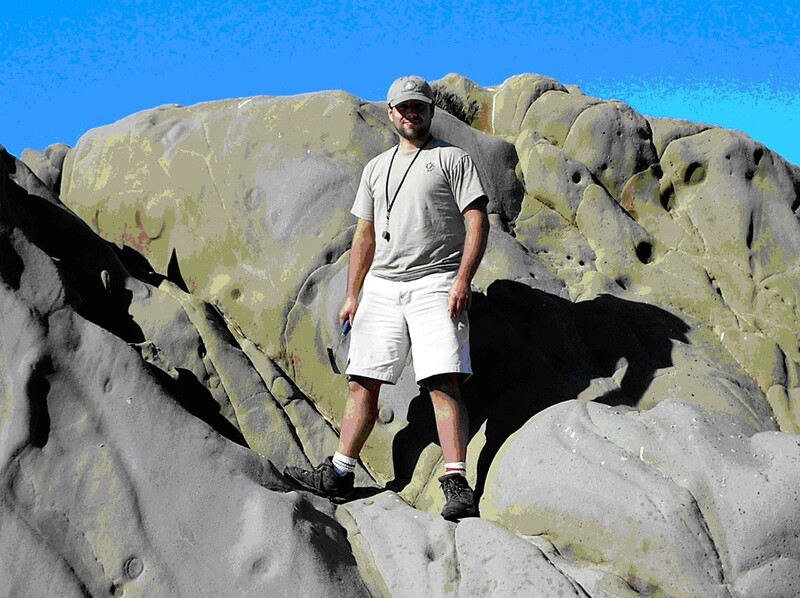 Now, I’m working toward my Masters in Marine Geology. A: My focus is in coastal morphology, which covers all processes that fuel the development and erosion of our coastline. With the current artificially accelerated rate of global climate change, it is critical to understand how our coastal habitat (where most of us live) will react to changes (both globally and locally) in sea levels and climate over the next hundred years. By understanding how changes in oceanographic patterns will affect the redistribution of sediment along our coastlines, we can establish which regions are most stable for future habitats. My thesis work concerns the establishment of sediment transport patterns (and seasonal changes in those patterns) along the central Monterey Bay coastline: a high-energy environment characterized by deep bathymetry and ephemeral surges of high terrigenous river input. A: Well it’s hard to plan for the future, but I would like to work as a consultant for USGS, NOAA, or similar organizations. I don’t have much teaching experience, but I’m not ruling out the idea of getting a Ph.D. and becoming a professor.